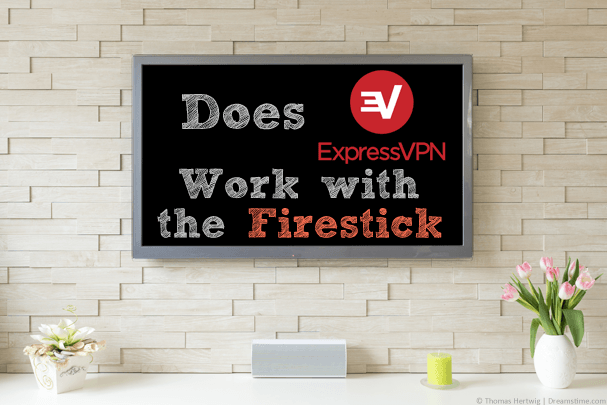 If you’re one of the many users wondering if ExpressVPN works on the Firestick then I’ve put this guide together to answer that question. Below you’ll find out if ExressVPN actually works with the Firestick or not. ExpressVPN is one of the top VPN services and with good download speeds and a huge range of server locations it’s not difficult to see why they’ve become so popular. The Amazon Firestick and Fire TV devices are also some of the most popular media streaming devices making the combination of ExpressVPN with the Firestick or Fire TV an attractive option. But does ExpressVPN actually work on the Firestick? I’ve been testing the ExpressVPN service with the Amazon Firestick to see if it works. I’m happy to report that Yes, ExpressVPN does work with the Amazon Firestick and Fire TV. In fact, ExpressVPN doesn’t just work with both types of Amazon device but it works incredibly well. The reason behind this is because ExpressVPN is one of few VPN providers who has released a dedicated Amazon app. This app is based on the Android app but has been modified to work on both the Amazon Firestick and Fire TV. The best part about this is it means you can install ExpressVPN’s app directly from the Amazon app store on your Firestick or Fire TV. Finding a VPN service that works with the Amazon devices can be incredibly difficult because only a small handful has dedicated Amazon apps. While people often recommend ‘sideloading’ any VPN service’s Android app to the Firestick or Fire TV they usually don’t work correctly. This makes it impossible to navigate around the options. There is no such issue with ExpressVPN’s dedicated Android app. Installing ExpressVPN on your Firestick or Fire TV is really easy and because of their dedicated Amazon app, it’s no more difficult than installing a VPN on your phone or tablet. Follow the steps below to get ExpressVPN installed on your Firestick or Fire TV. Visit the ExpressVPN website by clicking here and sign-up for their service. You can get 3-months free using this link. Once you’ve signed up go to your Amazon device and click on the Search icon (it’s the magnifying glass at the top of the screen). Search for ‘ExpressVPN’ and click on the app to install it. From the ‘Apps’ or ‘Home’ screen of your Firestick or Fire TV click on ExpressVPN. You’ll need to login the first time. After which click on Choose Location and select your desired location. The app should automatically connect for you but if not simply press the Connect button. The app will make connection quite quickly. Once it’s connected anything you do on your Firestick or Fire TV remains private to the outside world. For example, if you browse websites via Silk Browser or stream content on the various apps. You’re also able to unblock region restricted content. For example you can access different regions of Netflix. Connect to the United States and you’ll be able to access the American Netflix content. You can also use services like ITV Hub (formally ITV Player) and others abroad or outside their intended country. Although ExpressVPN works fine with the Fire TV and generation 2 Firestick devices, it unfortunately doesn’t work with generation 1 Firesticks. This isn’t exclusive to ExpressVPN though and regardless of what you might have read, no VPN service works with the generation 1 Firestick. The devices are too underpowered to make use of VPN technology so no matter which VPN service you use, it won’t work. Many users think that because the VPN apps say ‘Connected’ on generation 1 Firesticks that it is indeed connected but if they were to check their IP Address they would discover that it is not really connected. You can check that you’ve got a generation 2 Firestick by looking at the remote control. If it has a microphone button at the top then it is a generation 2 Firestick and ExpressVPN will work. If it doesn’t have a microphone button then it is a generation 1 Firestick and no VPN will work with it. All editions of the Fire TV work fine. If you’ve got Kodi installed on your Fire TV or Firestick then ExpressVPN will also work with this. The process is the same as normal. 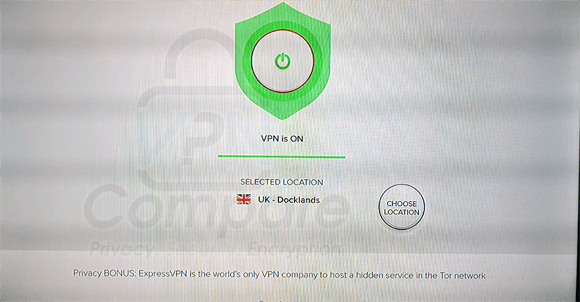 Simply connect to your required server on the Amazon ExpressVPN app and then open Kodi. All of your browsing and streaming habits will then remain private so no matter what you’re watching on Kodi you can be safe in the knowledge that your privacy is protected. Conclusion: Does ExpressVPN work on Firestick? Yes, ExpressVPN works on both the Amazon Firestick and Fire TV. They have a dedicated app for the Amazon devices which can be installed directly onto your device from the Amazon store. Using the app is simple and when connected it means your privacy is protected. The app can also be used to unblock certain services if they’re not available in your country. You can access certain regions of Netflix and other apps that are usually restricted to use within a specific country. Click the button below to visit the ExpressVPN and get signed up to use their service with your Firestick or Fire TV.